Whenever you have to waver from a baby’s routine life can become challenging. Babies also often have a lot of extras: toys, clothes, diapers, burp cloths, layers in case it’s chilly, car seats, etc. 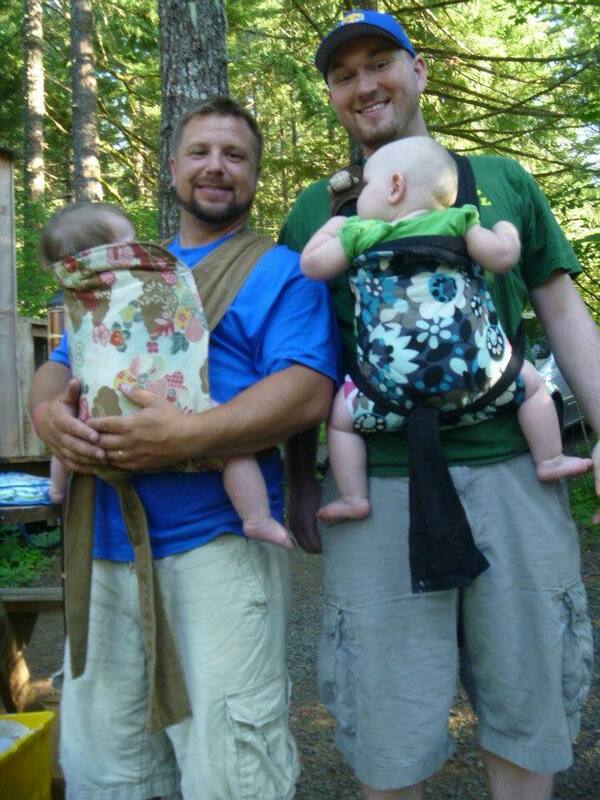 Babywearing helps simplify traveling and allows extra hands to carry the extra items your baby needs to be comfortable. Some of these tips may also help. Plan an extra day or several extra hours to get to your destination. It will be worth it to take a lot of breaks rather than trying to power through. 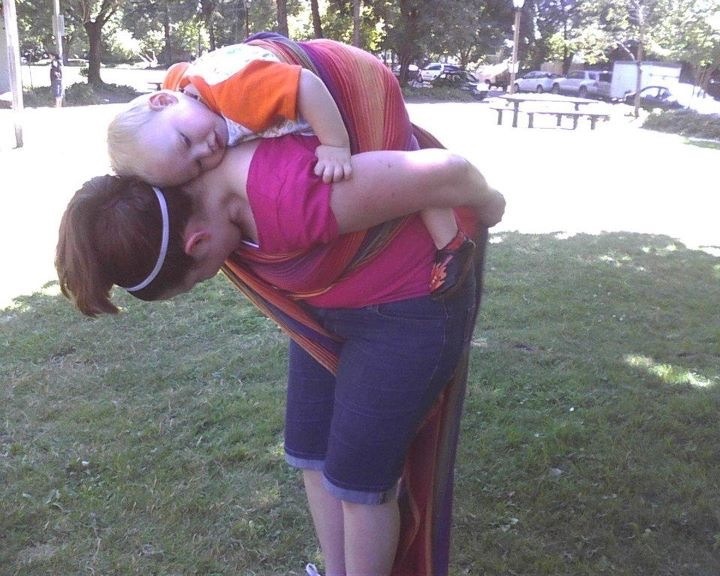 Consider doing the longest stretches while baby is napping or sleeping. Possibly consider traveling overnight if you can get enough sleep to make up for missing the sleep during the night. Plan breaks in towns with a park or somewhere you can all get out and stretch your legs, walk around, and play for a few minutes. Packing a frisbee or other toys that you and your children love to play with and chase will help everyone get some fresh air and exercise and make the time in the car go more smoothly. Plan for plenty of snacks and drinks. This will make everyone have to go to the bathroom more often but having plenty of water will keep everyone from getting dehydrated. Leave a place next to baby if possible so if you’re tag team driving with your spouse or another adult an adult can sit next to baby and play peek-a-boo and sing songs if baby is bored. Try to make nursing feel as much like home as possible-be sure to pack your nursing pillow if you use one or something else that will remind baby of home. 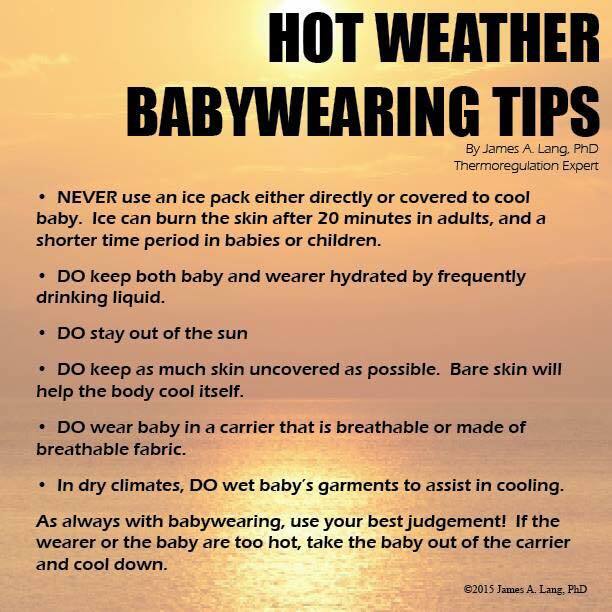 Babywear and snuggle as much as you can to make up for the skin to skin time baby is used to. You can wear baby as soon as you get out of the car and during bathroom breaks and then play together and stretch legs. Follow your baby’s cue. Many parents find that if they wear baby as much as possible in the hotel or when they reach their destination it will help baby feel better and the car ride will go more smoothly. Start this a couple of days before your trip if possible. Bring plenty of extra clothes and diapers. Sometimes babies get upset tummies in the car or have extra messy diapers when traveling. Pack plenty of treats and snacks for the diaper bag. The TSA allows enough snacks and fluids for the flight (check their website for current information). If possible pack a few toys and books that your baby has never seen before or hasn’t played with in a long time to keep them entertained. Freecycle.com is a great place to find these or a local virtual garage sale page. Trading baby toys with friends for your trip is also a good idea. Pack some funny things like bubbles (be sure to check fluid amount guidelines) to play with while waiting for the plane/train/boat/bus, etc. Try to stretch little legs and parent legs as much as possible right before your flight. Getting all the wiggles out will help many babies settle before boarding and buckling up. Consider getting baby their own seat for their car seat or gate check baby’s seat. Sometimes if there are extra seats and you gate check they will let you buckle baby in their seat at no additional charge (depends on the airline though). Gate checking often keeps your car seat safer too. If possible, nurse during take off. If not possible, offer a pacifier or clean finger (with short nails) pad side up to the roof of baby’s mouth. This will help little ears from feeling too much pressure. Pack extra diapers and clothes. Sometimes babies get upset tummies or have extra messy diapers. Sometimes flights are delayed. Carriers usually aren’t allowed through security (the TSA says they are not allowed on their website as of this writing but check their website for current information) but you can wear baby up to security and after. Buckle carriers and ring slings allow for quick ups and downs and make this go more smoothly but woven wraps are also quite lovely if you have long layovers, you may consider putting one in your carry on though or waiting to wrap until after you get through security and can get off to the side somewhere. 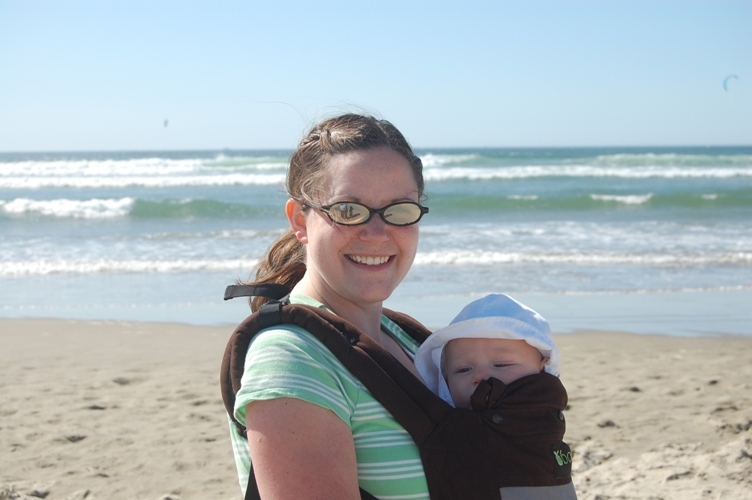 What are your favorite tips for parents traveling with babies?